Bizarre video of him here. Check out his paintings for sale on eBay. Cheers for the link Nicky | Via: WildAmmo. Jul 27	This entry was posted in Art, Bizarre, Funny, Images I Like, Stuff to Buy by cookie. Bookmark the permalink. 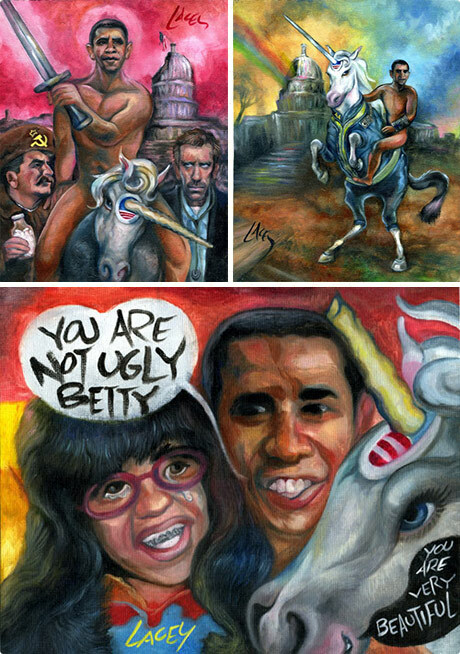 Pingback: Obama Naked with Unicorns..